Saving on your monthly interest charges is worth checking into. Because with the right card, you could save hundreds (or even thousands depending on your credit card balance) per year. They’re rare, but some low interest credit cards can offer interest rates under 9% for people with top-notch credit...That’s 11% less than the typical credit card these days. What’s that in real dollars? Well if you carry a balance of $8,000 for a full year, that’s $880 in interest savings. Every. Single. Year. These savings could help you pay down your credit card balance much faster ‒ and should give you extra breathing room every month. Review all top 10 low interest credit cards here. The is one of the best low interest credit cards in Canada – and it has no annual fee. Often, low interest rate credit cards will require you to pay an annual fee, but not this one. And you have the option of getting a 1.99% balance transfer rate for 6 months (fees apply). One of the best things about this card is that your interest rate does not depend on your credit score. Instead, everyone who gets approved will enjoy the same low interest rate. Not only will credit cards allow you to save interest on future purchases, but if you're currently paying a soul-crushing 20% interest, there are cards that will allow you to transfer that balance to another card (with lower interest) to save some money. The is a card that will allow you to do exactly that. only pay a low 8.99% interest rate on that balance transfer when your 6 months are over. Sure, there are lots of credit cards available with low balance transfer intro rates. But if you don't pay off that balance transfer within a set amount of time, your interest will jump up to 22-25%. And then you'll be in an even worse spot than before. But, you won't need to worry about that happening with this low fee card. Plus, you'll get an 8.99% interest rate on all of your future purchases as well. Much like the Amex Essential mentioned above, the will give you a low interest rate on all purchases, cash advances, and balance transfers. a 12.99% interest on all future purchases, cash advances, and balance transfers. 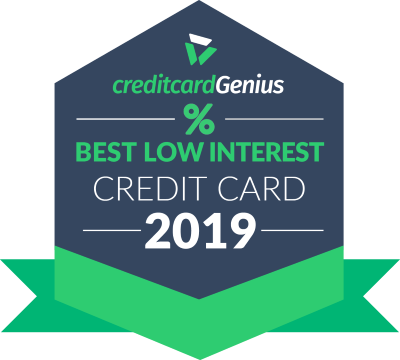 If you've ever struggled with credit card debt, you'll know that any relief from 20% interest is welcome, so this card is definitely worth considering. interest rates that should help you save money.